The Samsung Note 9 is here. But where are these hotly-tipped Galaxy S10 features? The Samsung Galaxy S10 is shaping up to be a new iPhone rivalling powerhouse and, maybe, when it is released early next year, it could end up being the best phone of all time. And, now that the Galaxy Note 9 has been fully unveiled by Samsung, we have a better idea than ever as to what features and hardware it is set to feature. That's because we already know that certain next-gen, futuristic technologies are already being worked on by Samsung, and that many of them appear to be far along in the development cycle, meaning that the South Korean maker will be looking to deploy them sooner rather than later. 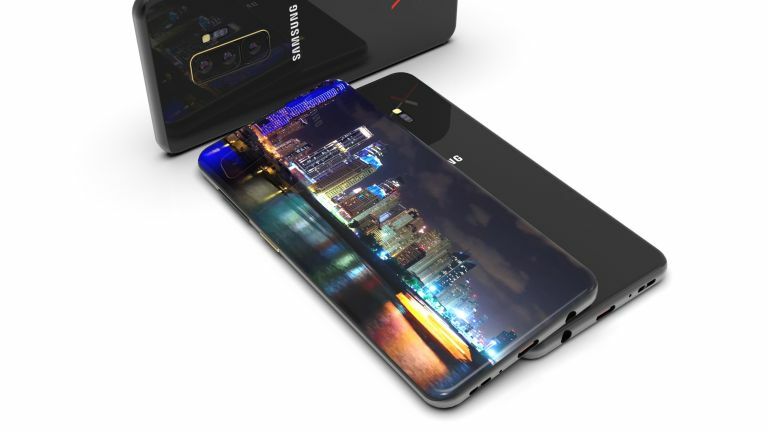 With a February 2019 unveiling pencilled in for the Samsung Galaxy S10 flagship, and a full launch around Mobile World Congress next year, that points to the technology installed in what will be Samsung's Galaxy series 10th anniversary device. We think it is going to be very, very special, and this is why. We know the era of 5G is upon us, with a series of 5G phones slated for release in 2019 that are going to blow people away in terms of download and connectivity speeds, opening up radical new uses for smartphones. And while we wanted the Note 9 to pull a 5G rabbit out of its hat, it now looks like the Samsung Galaxy S10 will be the first Galaxy phone to feature a 5G connection. Why do we think the S10 will be one of the first 5G phones? That's easy to answer. Samsung and Qualcomm recently signed a "strategic relationship" agreement that specifically notes the "transition to 5G". "As we lead the world to 5G, we envision this next big change in cellular technology spurring a new era of intelligent, connected devices," Qualcomm stated on the agreements release, hinting massively that Samsung is well on the road to going 5G. A Galaxy S10 that features a 5G connection would make it an obvious upgrade over the 4G Galaxy S9 and Galaxy S9 Plus, and offer genuine speed advantages too over the Note 9, so it feels a natural fit for Samsung's special anniversary S10. We've followed Samsung's in-screen fingerprint reader tech for over a year now, reporting on juicy patent filings that indicate a futuristic security system that is going to change smartphones forever. That's because this new system, which seems destined for the Samsung Galaxy S10, is going to use ultrasonic technology, which is super accurate compared to the optical tech currently used of smartphones, to scan and register fingerprints from under the device's screen. The result of this, aside from faster and better scanning, is that the fingerprint reader will no longer need to be positioned on the front or rear of the device, freeing up room that will not only generate a cleaner, more aesthetically pleasing look, but also allow extra features to be embedded in the phone in its place. It is literally a win-win piece of technology, and one that if it does launch in the S10, will be unanswerable at the same time by the South Korean maker's rivals. We've been following Samsung's development of its new super-powered Face ID rival for some time now, and from what we've seen so far, it looks like it will be the most advanced system of its type in the world come its release in the the Galaxy S10. The new system is slated to have Face ID-beating security and biometric unlocking capabilities, with the tech developed between Isreali startup Mantis Vision and camera module firm Namuga, with the latter already being a key supplier of of 3D-sensing tech for Intel's RealSense AR cameras. An S10 equipped with a 3D-sensing camera that beats everything else on the market, both from Apple and from rival Android phone makers? Shut up and take our money! The HTC U12 Plus has been tearing up the market in terms of unique style over the past few months thanks to its luxe Transparent Blue skeleton backplate. We hoped to see a model with a see-through design in the Note 9 line-up, however that did not come to pass, leaving Samsung the perfect opportunity to produce a wow-inducing special S10 next year. It may sound like a small detail, but at the super high-end of the market that the Samsung Galaxy S10 is going to operate in, any little edge is most welcome and, as phone enthusiasts and power users ourselves here at T3.com, something that is actually really desirable. It helps separate you from the crowd of me-too devices. What would really blow our socks off is a fully transparent ghost white backplate and frame, with accompanying live wallpaper to show the phone without its screen on, generating the impression of a fully skeleton handset. Android 9 Pie is coming to variety of Android phones in 2018, including the HTC U12 Plus, Google Pixel 3, and Samsung Galaxy Note 9. However, it is not coming stock on many and these phone's have not been designed solely around the hot new Android OS. As such, a Samsung Galaxy S10 that is built from the ground up to work with Android 9 Pie, to be perfectly in-sync with it and be optimised fully to exploit its enhanced power and AI smarts, would deliver phone enthusiasts and power users the high-level phone experience they demand. Most excitingly, with Android 9 Pie redesigned to learn from an individuals usage of their device, and specifically so in light of power usage, with new adaptive battery and brightness settings, we could finally see a Galaxy phone that breaks through a 48-hour usage between charges threshold. Lastly, a remappable Bixby button on the Samsung Galaxy S10 would offer users the freedom and control that a flagship phone should offer its owner. Bixby has come on leaps and bounds of late, and Samsung AI assistant is more useful and powerful than ever before, and having a physical shortcut to activating it is definitely most welcome. However, there is no escaping the fact that other assistants like Google Assistant offer more right now and by simply having the ability to remap the button users would be able to pick and choose its action as they see fit. It wouldn't even have to be used to raise an AI assistant, with quick shortcuts to open a favourite app, or launch the phone's camera adding another string in the Galaxy S10's bow.